Hangemaakte Siciliaanse cannoli, heerlijke zoete verwennerij! 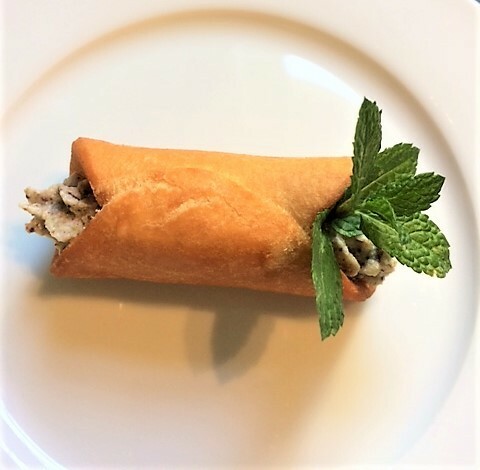 These crisp cannoli shells are filled with a combination of finely chopped pistache nuts, chocolate, mascarpone and ricotta. Step 1 – Sift the flour and sugar into the bowl of a stand mixer fitted with the paddle attachment. 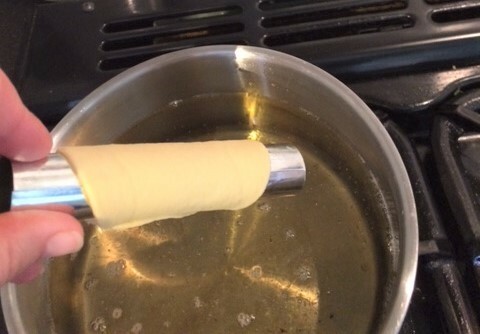 Add the butter and work in on slow speed until combined, then make a well. Combine 1 whole egg plus 1 yolk, the Marsala and the vinegar in a small bowl, then pour into the well. Mix to a firm dough. Step 2 – Turn out the dough onto a lightly floured worktop and knead for 8–10 minutes, until smooth and pliable. Wrap in cling film and leave to rest for 30 minutes. Step 3 – Meanwhile, make the filling. Blitz the pistache nuts and the chocolate in a food processor. Spoon the mascarpone, ricotta and sugar into a mixing bowl and stir well. Add the mixture and mix thoroughly. Cover and chill. Step 4 – Divide the dough into 6. Take 1 portion, flatten it, and run it through the widest setting on a pasta machine. Fold it in 3 and re-roll, then fold and roll again. Reduce the setting to the next widest and run the dough through. Repeat until the dough is as thin as it can be, then lay the strip of dough out along a lightly floured worktop. Repeat for all the dough portions. 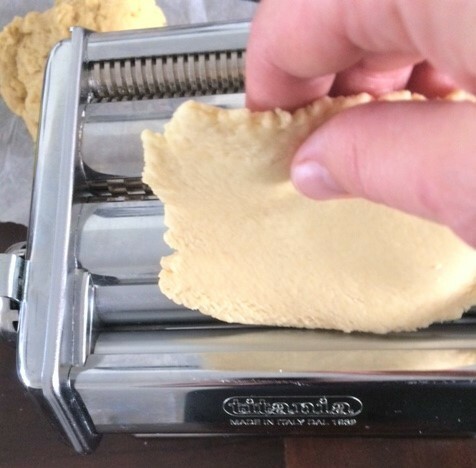 Step 5 – Use a floured cutter to stamp out discs from the dough until you have at least 24 discs (allow for breakages). Step 6 – Heat the oil in a deep-fat fryer to 180°C/350°F. 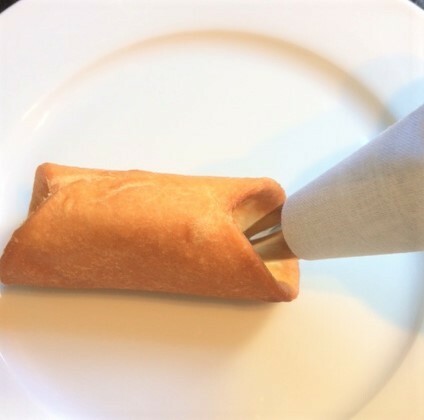 Roll 1 disc around a cannolo tube and fix the join with a dab of beaten egg white. 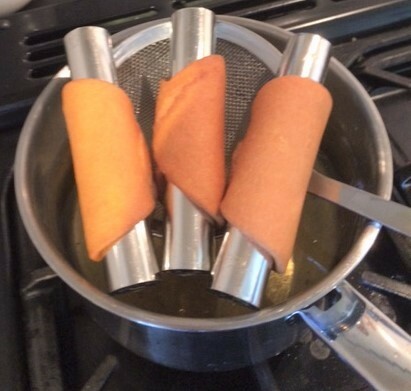 Use tongs to lower the tube into the oil and fry for 1 minute, or until crisp and golden. 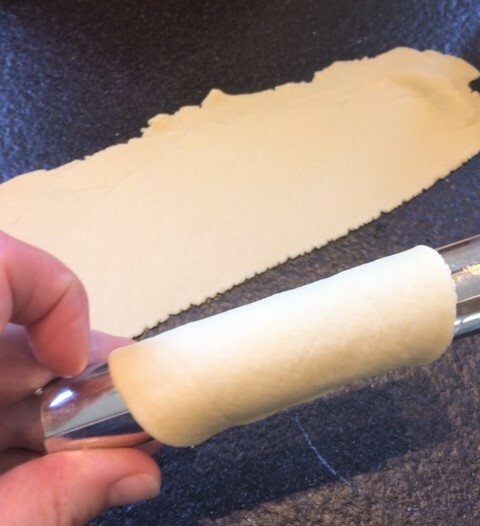 Remove, cool on a wire rack lined with kitchen paper, then, when cool enough to handle, ease the tube out of the shell. Step 7 – Cook the cannoli in batches of 3, making sure the oil comes back up to temperature each time.